The San Beda Red Lions erased the JRU heavy bombers in the Final 4 round after they beat them last Monday via 83-74. Thus, they are now back in the NCAA Finals. They are waiting the winner between San Sebastian and Letran. Rome De La Rosa of the Red Lions made 17 points in this game. His efforts from the 1st quarter up to the 4th quarter ensured their victory. Nate Matute of the Heavy Bombers fired back-to-back 3's in the latter part of the 4th quarter that revived his team. They were able to stay alive in the game. 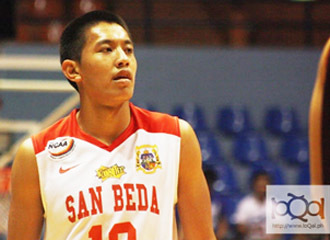 Matute trimmed down the two-digit, 13 point lead of San Beda down to just 8 points width 4:48 left in the 4th quarter. Anjo Caram with Dave Marcelo and Anthony Semerad made a combo run in the 4th quarter that stretched San Beda's lead back to 10 points, making their opponents shot some forced shots. The Heavy Bombers failed to add more points that closed their Finals hopes. The Red Lions were just too powerful for the Heavy Bombers. Imagine, JRU played well in the first 3 quarters but the Red Lions' defense in the last quarter seemed to be very stifling. It halted the offense of JRU.